Ever wondered how robots work, and more importantly, how to build one? 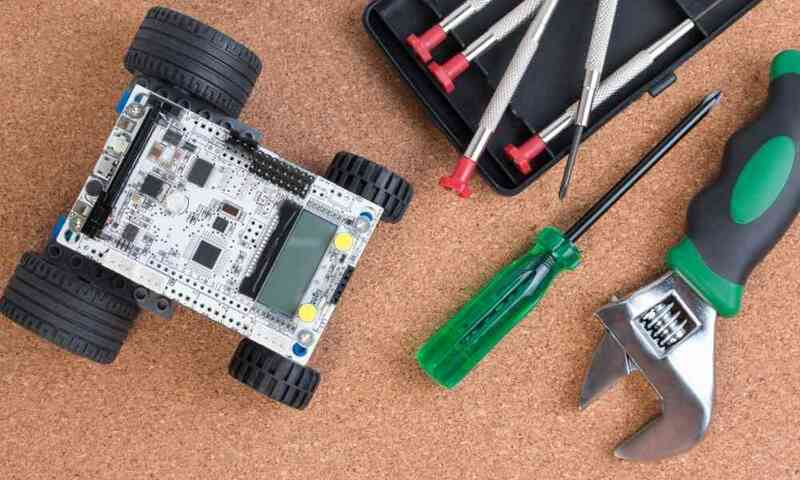 Getting a robot kit is the best way for you to learn more about robots, and how to build and operate them. 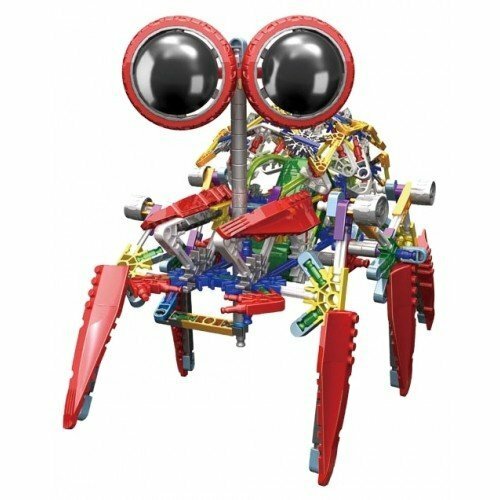 There are lots of inexpensive robot kits on Amazon.com that you can choose from if you are interested in exploring more about robots. 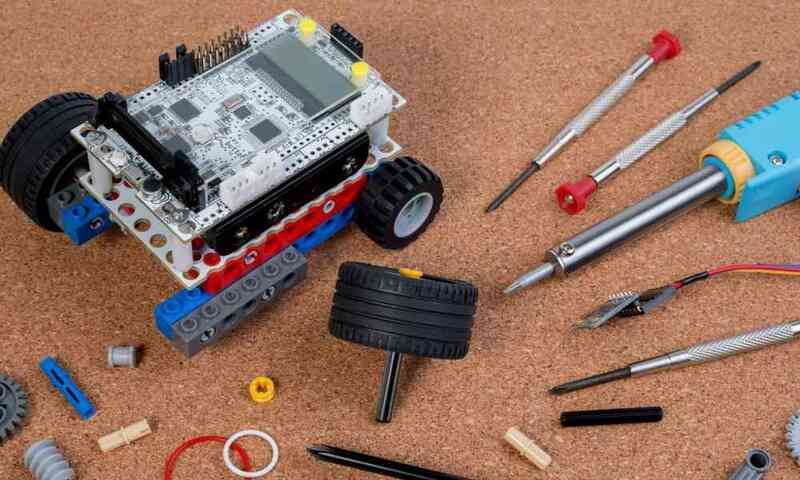 Robot kits provide a convenient, hassle-free way of building your first robot. A typical robot kits has all the parts you need to assemble a robot. There are also instructions that you can refer to in building a robot toy. 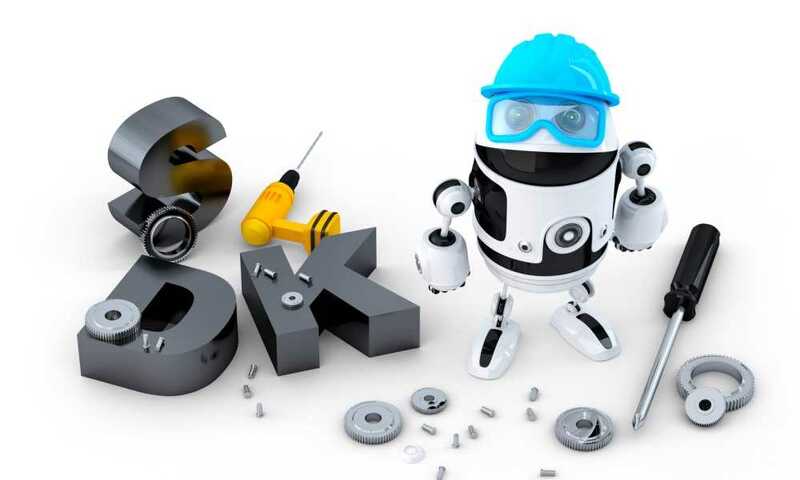 For more experienced builders, a robot kit can be the basis of a more advanced robot. They can then add other sensors like infrared distance sensors and ultrasonic range finders to their basic robot built with a robot kit. 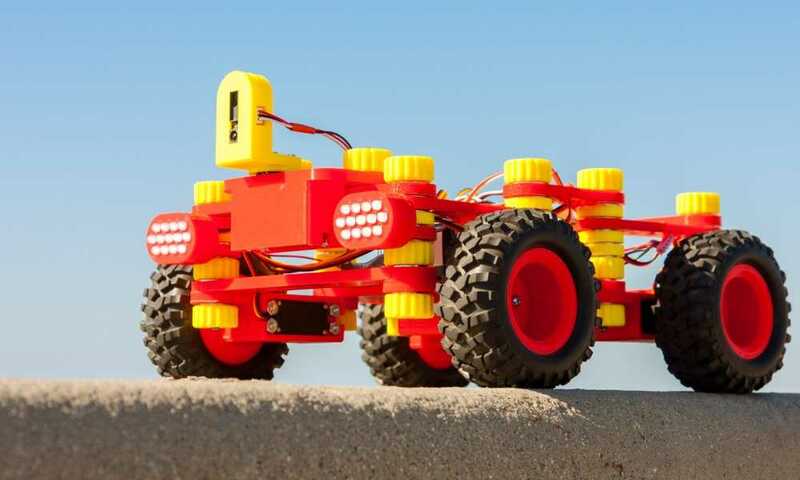 This is a very affordable robot kit that is designed for beginners. 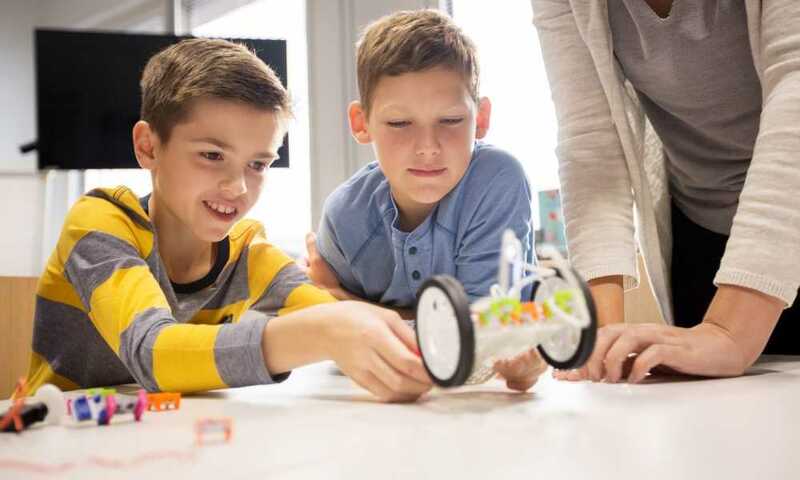 It is ideal for kids as well as adults who want to get started on programming, robotics, and electronics. It has 38 assembly parts that you can assemble in just 10 minutes. You also don’t need special tools or knowledge to put those pieces together. 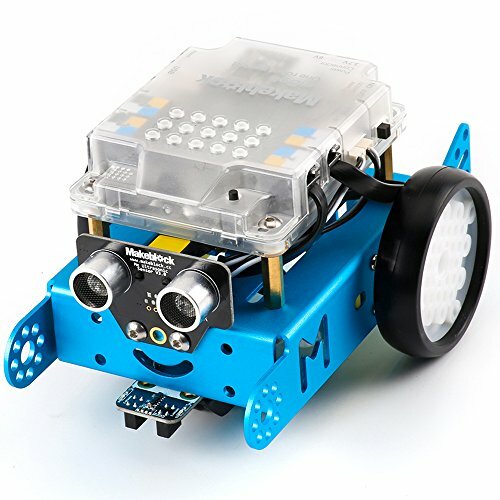 You simply have to connect the colored ports designed for convenient wiring, so you can spend more time on programming the robot. Speaking of programming, the software for this kit is very easy to understand. It is a drag-and-drop graphical programming software based on Scratch 2.0. 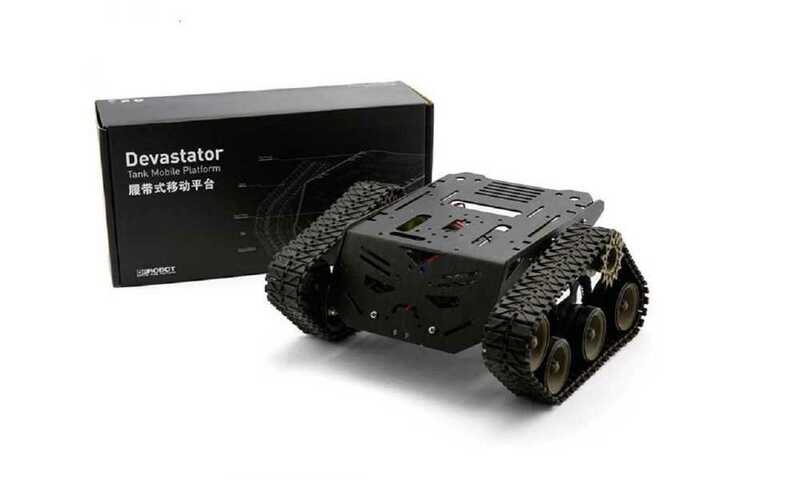 With this software, you will learn how to control the robot and realize its multiple functions. You can expect hours of endless fun playing with the robot. You can have the robot avoid obstacles, follow a line, or play multiple games like soccer, sumo, and balloon bursting. 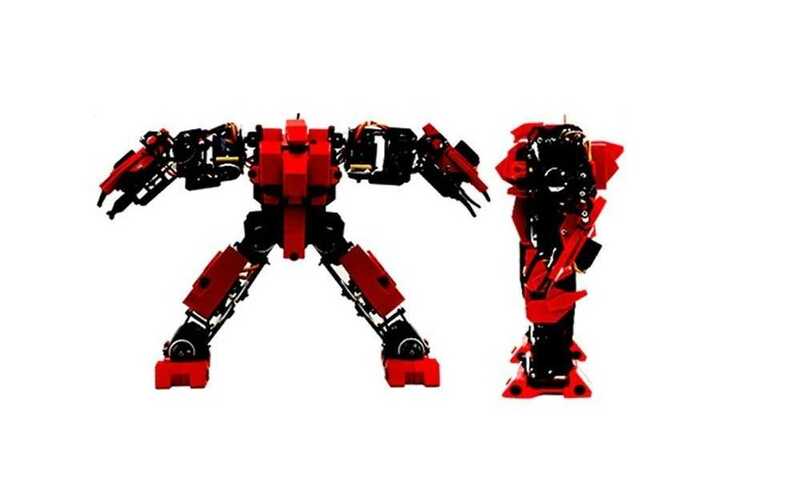 Moreover, this robot is compatible with other Makeblock robot kits and most Lego parts. This means that you can add merge this robot with other Makeblock robot kits if you want to make it bigger. The main body of this kit is made of aluminium, thus it should be able to last for a long time. It can also be controlled using Bluetooth-capable phones and tablets. 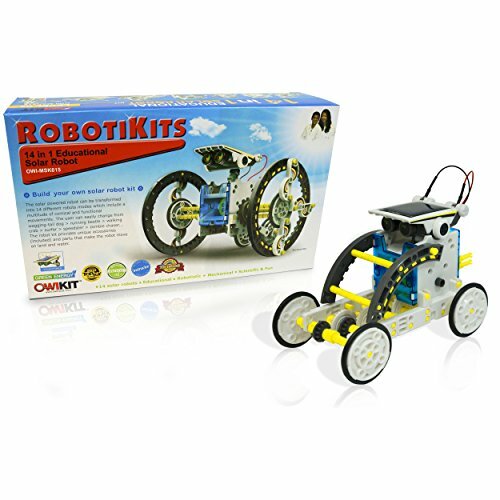 While this robot kit is more for kids, it can’t be denied that it is a great starter kit for the young ones. 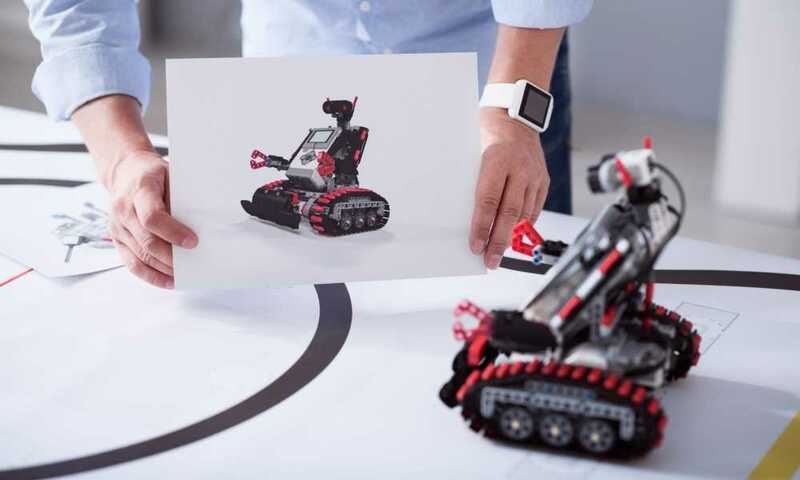 With 373 pieces, this kit has more than enough parts for kids to show their creativity and build robots that they can imagine. There are lots of robot designs that children and their parents can build from this kit. They can build a dinosaur robot, or a little crustacean robot. With many small pieces in the package, you just have to be careful in safekeeping this kit. This is a battery operated robot that can be a good way for children to get started on robotics. 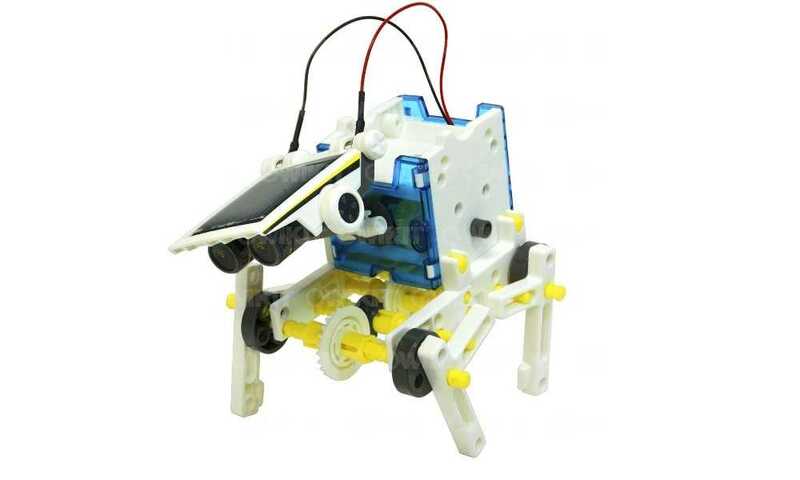 Rounding out our list of the more affordable robot kits on Amazon.com is this 14 in 1 DIY solar robot kit from Owi. The robot is powered by the sun hence you won’t be needing batteries to operate it. Plus, the robot itself can transform into 14 different modes so you or your child won’t easily get bored with it. Children will be challenged, so to speak, by the two levels of building this kit. The first level is for beginners, with modes like turtle bot, beetle bot, boat bot, walker bot, and dog bot, among others. The second level, on the other hand, challenges users to manipulate the robot. Modes in this level include roly poly bot, slither bot, surf bot, and crab bot, among others. These are just three of the cheap robot kits that you can find on Amazon.com today. These inexpensive robot kits should appeal to budget-conscious shoppers who would want to build their first robots without spending a lot. Visit Amazon.com now and look for these three affordable but good quality robot kits.